Steven Vance recently forwarded me a question about why CTA‘s rails have been sparking. 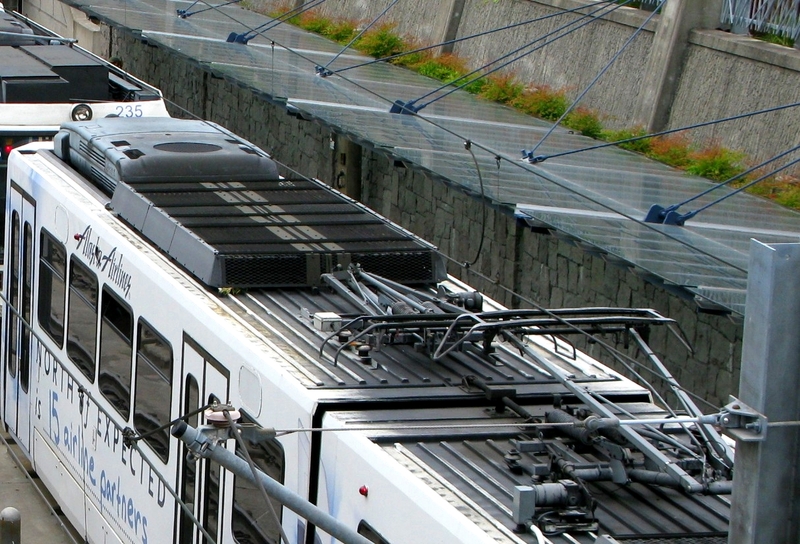 Unlike MAX trains which get power from an overhead wire system, their trains get power through a third rail system. However, arcing in both kinds of power systems during winter weather is typically caused by ice. Ice building up on the wire (or third rail as the case may be) acts as an electrical insulator, preventing the carbon shoe from making contact with the wire where the ice accumulates. This interruption in the flow of the current from the wire to the pantograph is visible as arcing. To help clear ice from the overhead wire & prevent it from accumulating, a few of the Type 1s (107-112) are equipped with ice cutters which are put into use for major freezing rain/ice events. I don’t have a picture of any of them in use (though I’m willing to accept donations! ), but they look like a second pantograph and function by heating/scraping ice from the overhead wire. 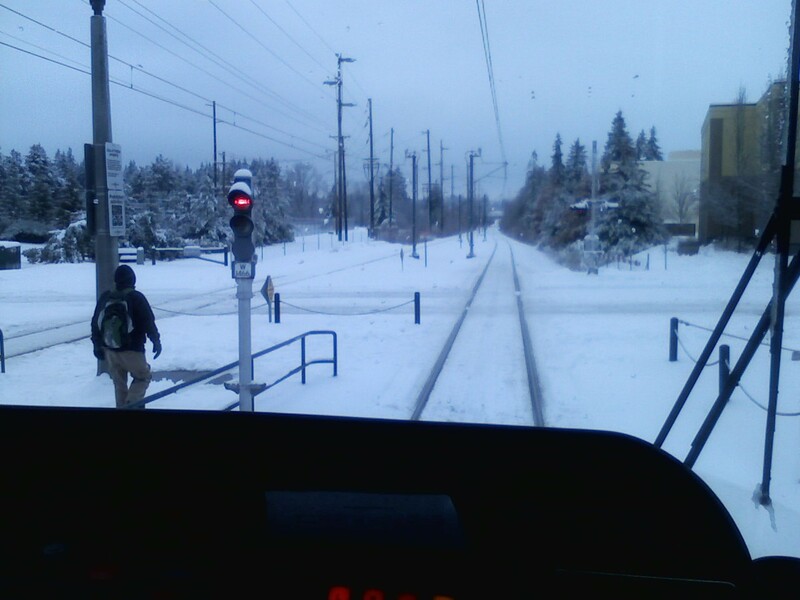 Unlike the pantographs, ice cutters only draw current to heat the elements and not to provide power to the train, so they won’t arc the same way the pantographs do in ice. Their function is strictly to clear ice from the wire. If you’d ever seen one of these cars and wondered why it has two pantographs, wonder no more! It doesn’t – one pantograph, one ice cutter. 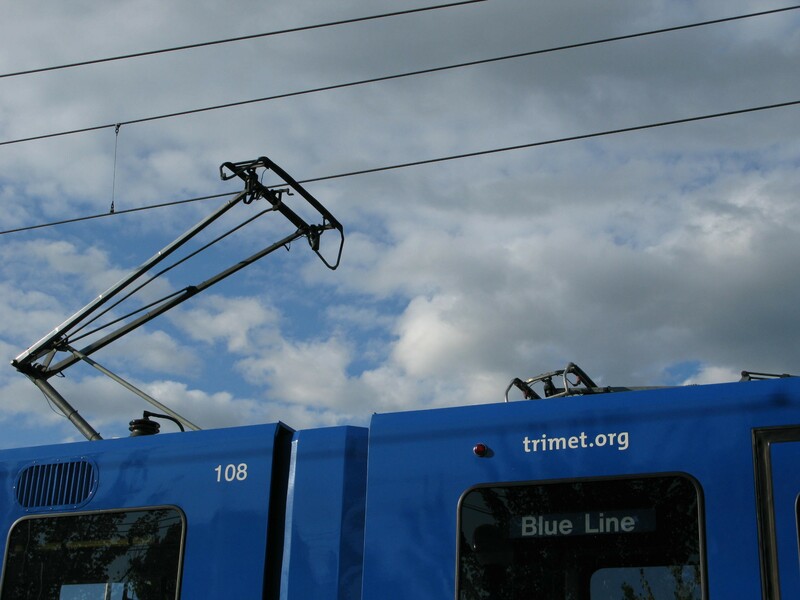 This entry was posted in pantographs and catenary, video and tagged catenary, light rail, max train, pantograph, portland, public transit, public transportation, rail, railroad, safety, trains, trimet, weather. Bookmark the permalink. Another one of my questions answered! Great post!! Which, what causes the arcing in winter or why those 1s have two pans on top? The part as to why some of the 1s have two pantographs. I would say that they ARE a second pantograph, just not used for current collection. I think I have a photo of a Type 1 around somewhere with both pantos up…leeme try to find it tonight. Hmm… I see what you’re saying & it makes sense – I just hadn’t thought of it like that, in part because they look similar but not identical (the shape of the bow collector, for example) so I didn’t really equate the two. Would love to see that picture if you can find it! Doubt someone would beat you to it! But if it does turn up, please share.